Far from perfect, but still a good looking driver. The upholstry pattern on those seats though would annoy the crap out of me. I can't say if $11900 is too high or not. It seems high, but then again you don't see too many Windsor 4D Hardtops for sale. Sure looks better than mine does, but mine cost me less than half of this. Location: Lower Mainland BC Why am I confused regarding the sweep pattern on the side of your lovely 57 Windsor? HAHA! I knew that there are Windsors with the single spear trim (like mine), but those last two look like Saratogas! 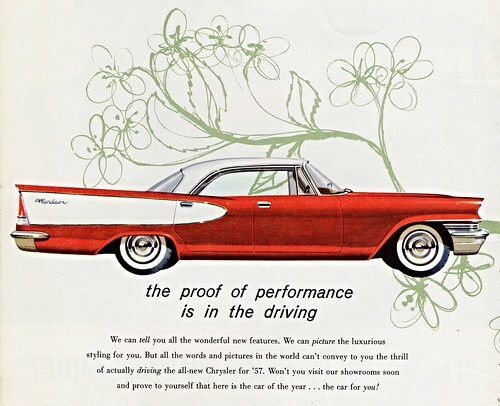 Are those some sort of Canadian variant or did Chrysler just have really poor quality control on their brochures??? I wouldn't doubt if it was the latter as the 60 and 61 pamphlets show all the trim levels as long wheel base cars including the Newports and Windsors. Location: So. California I thought you guys already figured out that a Canadian Windsor is really a US Saratoga. So a Canadian Windsor has the same sweep and options as a Saratoga from the US. 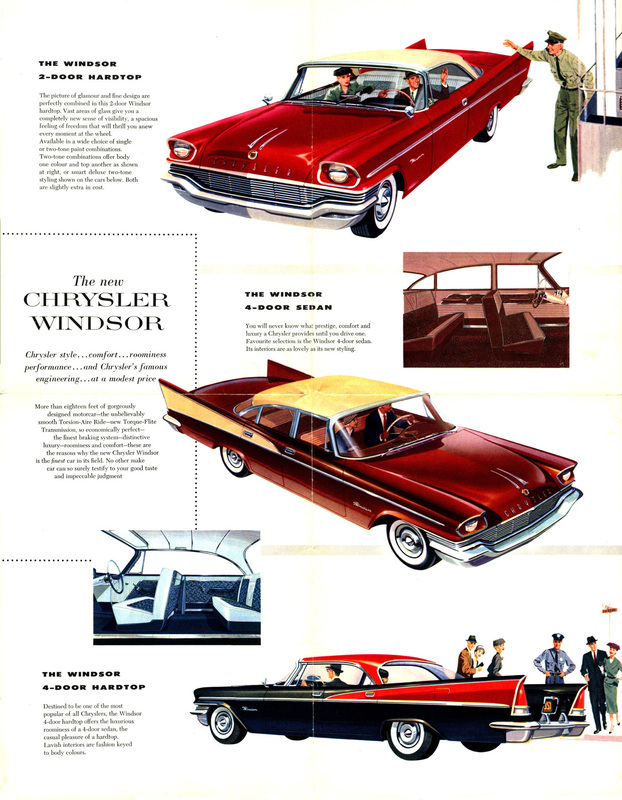 In '58, the differences became more apparent because of the switch to the Dodge wheelbase for the US Windsor, but not for the Canadian Windsor (which is a US Saratoga!). 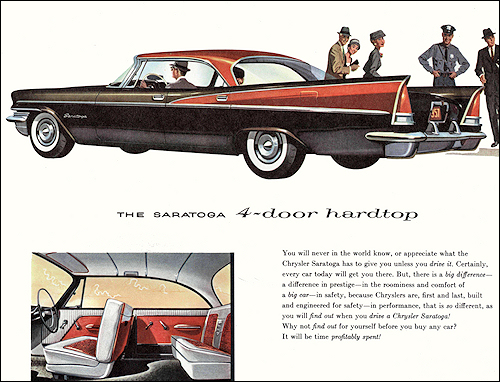 Location: Hay Lakes, Alberta, Canada And to confuse you even more, compare the '57 Canadian "Windsor" and '57 American "Saratoga" interiors, and you'll see that the Canadian-built cars have a Chrysler and DeSoto combination for design and fabrics/vinyls used. Most evident in the 4 door sedans.